About 15 students had a chance to talk with the lawmakers at the event held in front of the Memorial Union on the Tempe campus. Blanc highlighted student engagement, noting that one student was partially responsible for killing a bill written by state Rep. Bob Thorpe (R-Flagstaff). HB 2120 died in the legislature after not being heard by the House Education Committee. At the time, Thorpe reportedly disconnected his office phone, something reinforced by Blanc at the breakfast on Friday. “You (students) have been able to kill Thorpe’s bill,” Blanc said in response to a question about how students can be more engaged in politics. She praised one student's effective use of social media: political science and public policy junior Randy Perez. After the bill was introduced, Perez tweeted out Thorpe's phone number. Blanc said that Perez’s tweet was the catalyst that led to Thorpe's phone being disconnected. Perez said that HB 2120 began picking up national attention after the New York Post wrote an article about the controversy surrounding the bill. That article was tweeted out by State House Minority Leader Rep. Rebecca Rios (D-Phoenix), a “good friend” of Perez. “At the time, this article was blowing up and getting national attention on Twitter,” Perez said. He said he quoted Rios' tweet and included Thorpe's number as a "call to action" for students. Perez said the tweet began to gain momentum, and Thorpe’s office eventually received so many calls that his office was forced to unplug their phones. Blanc confirmed that Thorpe’s office was bogged down with phone calls after the tweet. Vice President of Policy for Undergraduate Student Government Downtown Jimmy Arwood said lawmakers can do more to connect with students. Arwood said he would instead direct policymakers to do more to reach out to younger people. “I’m not one to believe that students don’t care because of apathy," Arwood said. "I think it’s because they genuinely don’t feel heard by the current system and those who represent them." 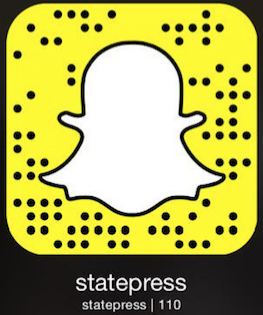 Reach the editor at politics.statepress@gmail.com or follow @chriswood_311 on Twitter.